URAC is an independent, nonprofit organization that promotes health care quality through its accreditation, education and measurement programs. 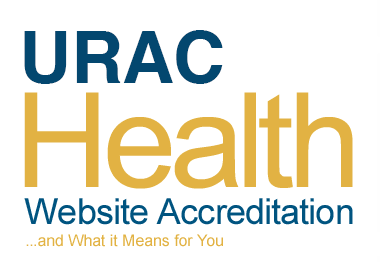 The URAC seal is a symbol of quality in health information on the Internet. Websites earn the URAC seal if their health information is credible, has been closely reviewed and has met the highest standards for information delivery. How do URAC accreditation standards show that the health information on WebMD is credible and trustworthy? URAC standards ensure that WebMD has processes in place for health content. This includes an editorial policy that identifies the author and/or medical review and requires information to be based on evidence, so you will find that WebMD always tells you the sources it used to create the information. There must also be a clear distinction between paid advertising and WebMD original content. How do URAC standards protect the privacy and security of information? The URAC standards require strong protections of personal information you may give to WebMD. For example, WebMD may not collect personal health information without asking for your consent. URAC standards also require that WebMD provide specified levels of security procedures. How are URAC standards developed? URAC standards are developed by a group of experts from different interests in the health care community. When new standards are developed, experts from that area of health care delivery participate on the committee. URAC always accepts public comments on draft standards so that anyone can have input in the standards development process. Generally, URAC updates its standards every three years, although sometimes changes in health care require making a change to standards more often. How is WebMD's information reviewed? WebMD must remain compliant with URAC standards. To ensure this, WebMD must seek reaccreditation every two years and URAC performs random reviews of the WebMD site. In addition, WebMD has established a Quality Oversight and Compliance Committee to oversee the site's quality. This Committee includes the WebMD leadership team responsible for health content and the individuals responsible for WebMD's privacy and security practices. The Committee reviews all changes to policy and guidelines. URAC is an independent, nonprofit organization, which promotes health care quality through its accreditation, education and measurement programs. URAC offers a wide range of quality benchmarking programs and services that keep pace with the rapid changes in the health care system and provide a symbol of excellence for organizations to validate their commitment to quality and accountability. Through its broad-based governance structure and an inclusive standards development process, URAC strives to ensure that all stakeholders are represented in establishing meaningful quality measures for the entire health care industry. For more information, visit www.urac.org.